Boundaries and limits tempered with lots of love are the key to bringing up children who understand value and don’t walk around with an air of entitlement, thinking they can always dip into a bottomless pit. Boundaries and limits not only provide children with a sense of security – because they know where the beginning and ending is, but they also provide children with opportunities to be resourceful and creative. They learn to work with what is and make a plan for the rest or develop patience to do without until the next month’s money or airtime becomes available. It is said that all great inventions and creative solutions were developed within constraints, not with unlimited resources. In a world of increasingly limited resources, we owe it to our children to teach them how to deal with limits. By being creative and resourceful they actually discover how to create their own abundance mentality, and learning the patience of waiting is also an extremely good indicator for success in the future vs an “I want it like this, and I want it now!” mentality. Do boundaries and limits = a no or a yes? Yes, you can stay up later than normal because it is a weekend, but not later than 9pm instead of 8pm. Yes, you can use your phone for online gaming, but once your allocated airtime is up, I’m not paying for more. Yes, you can have the double burger if you want and a milkshake instead of a soda, but then you don’t get to have a dessert. Do you give your children limits? 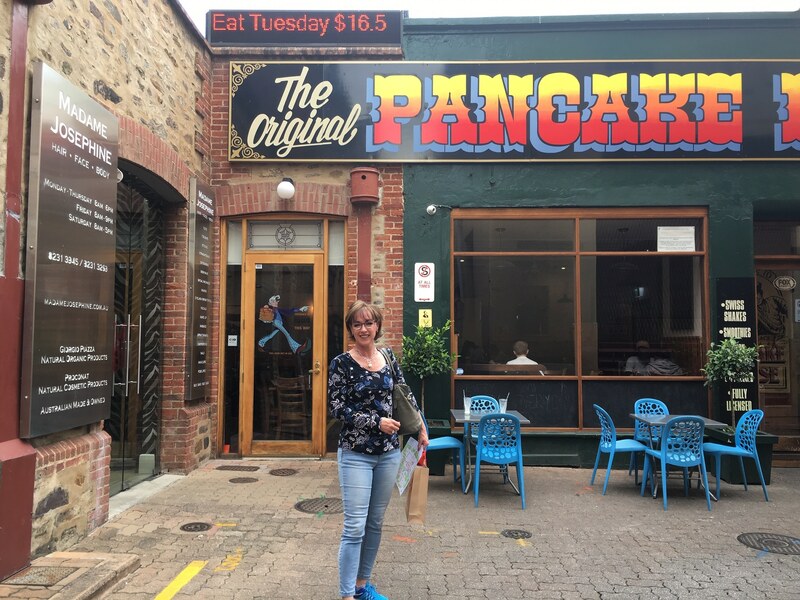 I stumbled across this hidden pancake restaurant in Adelaide, South Australia today that used to be my haunt as an 18 year old with almost no money at my disposal. It was the only place I could afford to meet my mates and eat out at because the people I stayed with used to collect chocolate wrappers that had vouchers for free pancakes at this joint on the reverse. I ate a lot of pancakes in my years as a Rotary exchange student! How have you seen this play out positively in their lives? Where else do you think you need to provide limits that could provide teachable moments that lead to independence? Ultimately children will leave home and need to be able to earn a salary, live within a budget, and learn to run their lives without you. The limits, boundaries and routines you put in place now lay the foundations for independent living one day. Good habits start early.